Roché was established in Shropshire in 1985. 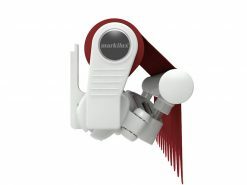 Since this date, we have grown to become one of the UK’s leading partners of Markilux and Weinor. We choose only to work with these award-winning German companies as they offer the best quality products in the marketplace, with premium water resistant fabrics, advanced control systems and completely flexibility over sizing and colours. Our nationwide team of surveyors and installers serve addresses across the UK, while our head office and showroom are still located in Oswestry. Visitors to our Shropshire awning showroom will be able to view and test a wide range of retractable patio and vertical designs, and also see an example of Weinor’s Glasoase modular glass room system. Our knowledgeable team are also on hand to provide help and guidance. Get in touch with our Shropshire head office to find out more about our awnings. 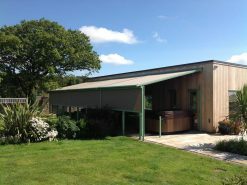 Shropshire homeowners have one of the UK’s most established awning specialists on their doorstep. 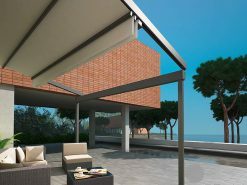 Roché offer the full Markilux and Weinor product ranges, including innovative patio awnings which have won international design awards. Each product is completely customisable and made to measure, and we will help you customise your installation every step of the way. Our awning survey and installation services ensure a stress-free journey, from start to finish. 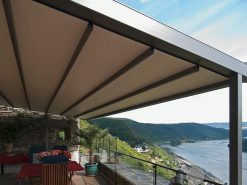 Fabric roof verandas combine the retractable technology found in a patio awning, with additional supports such as front posts and guide tracks. 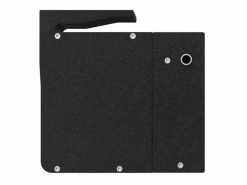 This means they are capable of covering large widths, and benefit from high wind ratings. 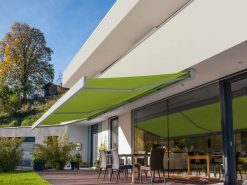 They offer the same flexibility over design options, with hundreds of awning fabrics, a choice of frame colours and bespoke sizing as standard. 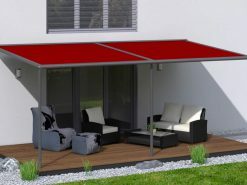 To discuss the option of a veranda awning for your Shropshire home, speak to a member of the team. 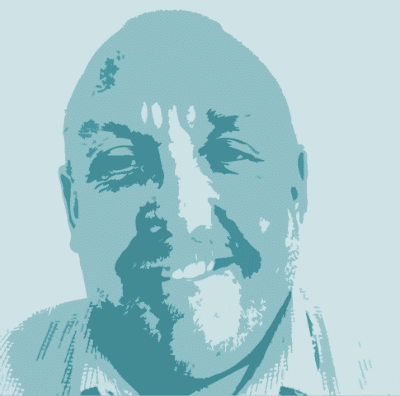 Neil is our main surveyor for Shropshire. He visits both domestic and commercial properties and will assess your requirements, measure up and answer any questions you have regarding our awnings. He works across Shropshire, covering areas including Oswestry, Shrewsbury, Babbinswood, Craven Arms, Market Drayton, Much Wenlock, Shifnal, Wem and Whitchurch. 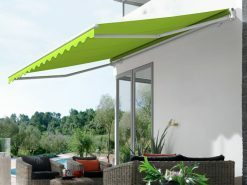 If you are interested in finding out more about our Shropshire awning survey process, speak to the Roché team. They will arrange a date and time for Neil to visit when it is convenient with you.